Landscape layout. Colour (not essential). Solve the clues which cleverly read the same across and down in the grid. British English spelling. Solve the clues and fill the words. 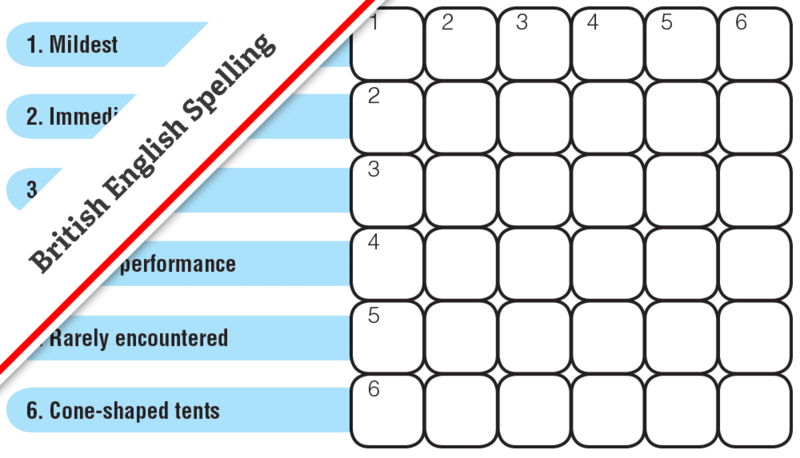 In this clever puzzle the same word will fit both Across and Down in the crossword grid.